Seniors, the time has come to make this year memorable! Your senior advisor are on this journey with you and availalble to help. For more information about Senior Class activities please contact the advisor at stephanie.woldum@mpls.k12.mn.us or 651-560-5056. Please, scroll to the very bottom of this page. Beneath the calendar is additional information! Costs are estimates, and prices are subject to change. Parents, your involvement is important, needed and appreciated very much! READ ON FOR MORE INFORMATION REGARDING SENIOR CLASS EVENTS. 3M Arena @ Mariucci on the University of Minnesota Campus is the site of the ceremony. Tickets are required for every attendee older than 5 years of age. Ten (10) tickets are available to each graduating senior. Lost tickets cannot be replaced. Graduates arrange their own transpsortation to the arena. LifeTouch will take photos of all graduates during the ceremony. Photos do not need to be pre-ordered. LifeTouch will send proofs of photos to all graduates using the address on students provide to Lifetouch during the graduation rehearsal. Please see an informational flyer at the bottom of this page for more information. You may also call Lifetouch directly at 1-800-505-9496. Order past and current graduation photos. Below you will find a summary of costs typically incurred during Senior year. Optional events/costs are noted with an Asterisk*. Please note that all costs are estimates and subject to change. There is no fee for caps and gowns. They are provided to each senior free of charge. Yearbooks can be purchased through the yearbook advisor. See http://southhighyearbook.weebly.com for more details. The Senior Class Boat Bash is an annual South High tradition! Dinner is served followed by dancing during a Mississippi River cruise. The Senior Class picnic will be held on the last day of school for Seniors. $5 buys a ticket for lunch, beverage and dessert. Seniors not wanting lunch are welcome to attend without a ticket too! Senior Prom will be held in the Spring. Additional things to consider: Semi-formal attire for graduation. Senior Announcements may be purchased through Jostens. Students will also need to pay all outstanding media fees! All seniors must complete a Cap and Gown order form. Most Seniors will complete the during the Fall Senior Class meeting. 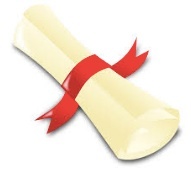 If you miss the meeting you may complete the form online here http://www.gradsmn.org/cap-gown-form. Caps and gowns are provided to each student free of charge. Please note that South High does not allow any decoration of Caps or Gowns. Only school approved regalia may be worn at the ceremony. Orders will ship directly to you! Please do not ship them to South High. The Boat Bash is a South High tradition held aboard the Betsey Northrup docked at Harriet Island West in Saint Paul. Maps to the departure point may be found at http://www.riverrides.com/pages/misc/mappl.html . Tickets are sold lunchtime in the commons the first week of May. Tickets may also be purchased from Mrs. Woldum in room 230A after school. Estimated ticket cost is $35 per student. The Senior Picnic takes place on the Last Day for Seniors! (see dates above). Cost is $5 per student. Students will be responsible for their own transportation to the picnic site. Hello Seniors! You are the guests of honor at the Senior All-Night Party. Plan to celebrate grad night with fellow graduates! This promises to be the best party yet! You will be bused to a “secret location” after graduation, as the guests of honor. There will be lots of food, music, swimming and other FUN activities to keep you busy all night. Please also see the PDF invite linked to the bottom of this page for more info! The cost is $60 each, so start planning now! Don't miss this fun night! Check-in 9 - 9:45 p.m at South! South Families! We Need Your help! We need many adult volunteers to put on the parent-organized all-night party for South graduates. The party takes place at a "secret" destination graduation night, June 3rd and into the morning of June 4th. Part of the fun at the party is the prize drawings! If you know of a business that may be willing to donate cash, gift certificates, or items for prizes, please contact Kathy Riggins at kpriggins10@gmail.com. PLEASE consider giving your time and energy to this fun, celebratory event. All other questions may be directed to Stephanie Woldum at stephanie.woldum@mpls.k12.mn.us or 651-560-5056. LifeTouch Photo Information -- Information on graduation ceremony photos that may be ordered from LifeTouch after the ceremony.